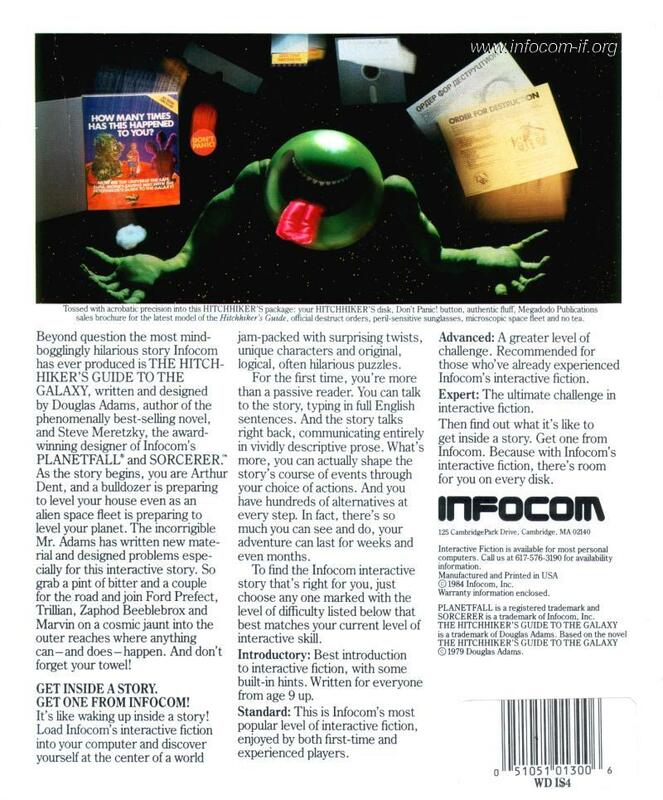 Relax, because everything you need to know about playing The Hitchhiker's Guide to the Galaxy is contained in the pages of this manual. In this story, you will be Arthur Dent, a rather ordinary earth creature who gets swept up in a whirlwind of interstellar adventures almost beyond comprehension. As the story begins bulldozers are waiting to reduce your house to rubble to make way for a motorway bypass. 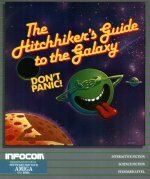 While you attempt to deal with this problem, your rather strange friend Ford Prefect drops by to tell you that the Earth is about to be demolished to make way for an interstellar bypass! If you survive this double threat, you'll embark on a series of inter-galactic misadventures even funnier than your worst nightmares! 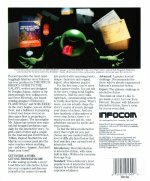 And because anything is possible in The Hitchhiker's Guide to the Galaxy, you may soon not even be sure of your own identity! 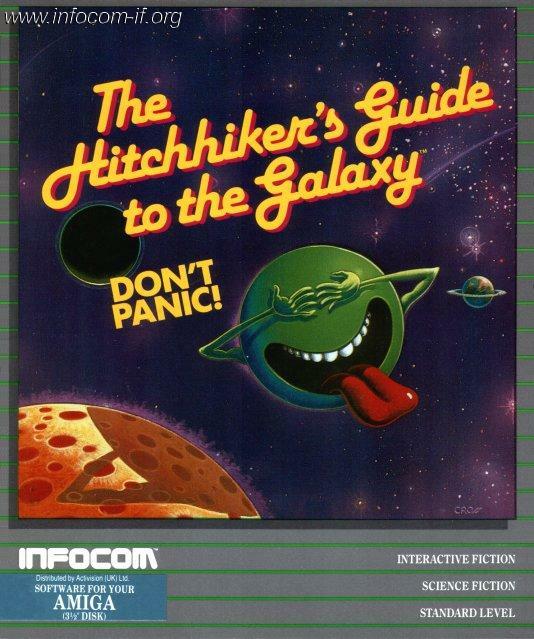 A special note for people who have read the book The Hitchhiker's Guide to the Galaxy:Although the opening of the game is fairly similar to the book, the story quickly diverges, with lots of new material and different twists. Familiarity with the story may make a few of the early puzzles easier, but if you rely too heavily on this previous knowledge you will certainly befuddle yourself.